Our Practice. Belgian Gardens Medical Centre. Townsville. I have over 8 years’ experience in the medical administration field, whereby I started as Junior Receptionist, to Supervisor, to Office Manager, and finally Practice Manager. Between Castletown Family Practice and beginning employment at BGMC, I took some time off and had a beautiful baby boy who is now 4. I have always enjoyed working in customer service where I can speak with people daily, and build relationships, and also help people to the best of my ability on a daily basis. I also enjoy business management where I can see growth in what I do. The medical field allows me to do all of this daily and I enjoy coming to work each shift and speaking with all of our patients and them knowing that I am here to help in any way that I can. I am one of the receptionist at the practice, I first started in Medical Reception at Castletown Family Practice in 2012 and enjoyed this position thoroughly. Previous to this I was doing Teacher Aide work for the last 9 years at different schools around Townsville. I have followed the Practice Manager and Doctors to this new practice as they are a wonderful team to work with and have wonderful patients who I have come to know some of them quite well. ANDREA is currently away from our Practice for 12 months. I am one of the receptionist at BGMC. 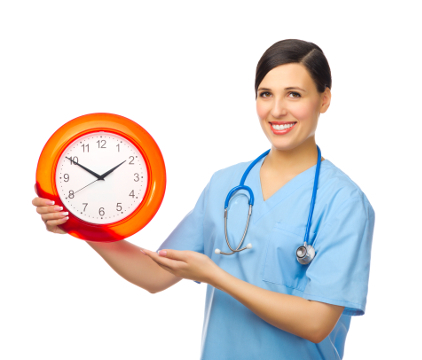 I have been working in either the medical or dental field for all of my working career. I live in Townsville with my Partner and 2 children. 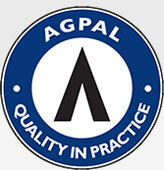 I worked at Castletown Family Practice with the staff and Doctors and have been with BGMC for the past 12 months. I enjoy being apart of this wonderful team. 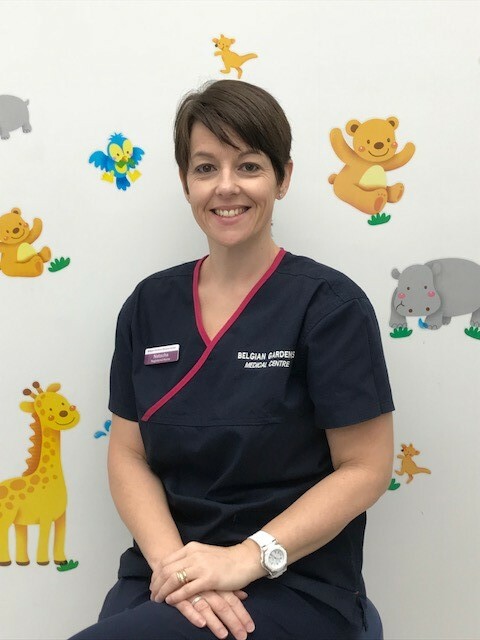 I moved from the UK to Toowoomba in 2010 to start a new life in Australia with my husband and two children, where I recently completed the Bachelor of Nursing at the University Of Southern Queensland. I was honoured to graduate with both a Bachelor with Distinction as well as a Faculty Medal for outstanding academic achievement, which made all the hard work during those three years worthwhile! 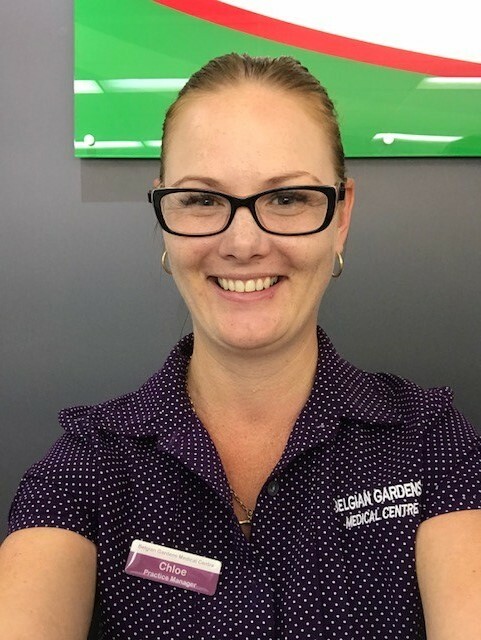 I moved up to Townsville with my family in December 2016, and started working at Belgian Gardens Medical Centre in February this year. 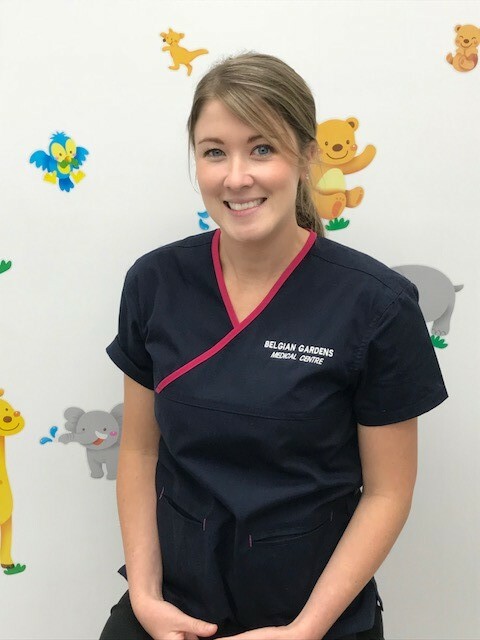 I thoroughly enjoy working in General Practice, and have been made to feel very welcome by both the staff and patients here at the Belgian Gardens Practice. I moved to Townsville from Melbourne in August 2017 and started here immediately. I completed my Bachelor of Nursing degree at Monash University in 2013 and have worked as a Practice Nurse since then. I thoroughly enjoy interacting with a variety of patients each day and help care for our community. I am pleased to be apart of such a wonderful team at Belgian Gardens Medical Centre.